There are an estimated 10 million registered motorcyclists in America representing all walks of life. They include doctors, lawyers, business owners, military veterans, blue collar workers, and even state legislators. Unfortunately, the overly-broad outlaw biker stereotype embraced by many in law enforcement results in selective enforcement and discriminatory traffic stops targeting a sizable portion of the motorcycling community. It is important to understand the legal definition of “motorcycle profiling” and what your options are as a victim of profiling. The legal definition of motorcycle profiling is different from the federal level to the state level. Federal Law: There is no federal law specifically prohibiting motorcycle profiling. However, a traffic stop is prohibited where the ‘sole factor’ in the stop is membership (or expression of membership) in a motorcycle club. But as long as there is reasonable suspicion or probable cause for a traffic infraction then other motives become immaterial to a 4th Amendment analysis. Because most profiling stops are accompanied by a traffic pretext, federal lawsuits become difficult and problematic unless there are other circumstances such as unreasonable stop duration. State Law: In Washington State, the only state with a law addressing the issue, the definition of motorcycle profiling provides more protection than federal law because it prohibits pretext-based traffic stops. If discrimination is even ‘a factor’ in the stop, not the ‘sole factor’, the stop is illegal. Washington Revised Code 43.101.419 says, “Motorcycle Profiling means the illegal use of the fact that a person rides a motorcycle or wears motorcycle-related paraphernalia as a factor in deciding to stop and question, take enforcement action, arrest, or search a person or vehicle, with or without a legal basis under the State or US Constitution.” Motorcycle profiling amounts to a publicly funded campaign of discrimination. Solely relying on appearance as opposed to the legal requirement of conduct amounts to discrimination and violates federal law. You should immediately consult an attorney and explore your options. Depending on the circumstances of the stop there are numerous potential claims that may be brought under Section 1983 of the Civil Rights Act. Proﬁling violates the 1st Amendment. Being in a motorcycle club or organization, and displaying symbols of association, are both irrefutably protected by the 1st Amendment. The U.S. Supreme Court ruled in the case of Cohen v. California, 403 U.S. 15 (1971) that individuals have the constitutional right under the 1st Amendment to wear clothing which displays writing or designs and has long recognized and protected the right of an individual to freedom of association. More recent cases confirm that 1st Amendment protection specifically applies to motorcycle club and organization colors and clothing. Proﬁling violates the 14th Amendment. In Whren v. US (Supreme Court, # 95-5841, 1996) the Court made a clear distinction between discriminatory stops and mere investigatory stops. The court said “The Constitution prohibits selective enforcement of the law.” Although the 4th Amendment is not the proper basis for a complaint, discriminatory or selective enforcement stops are a violation of the Due Process and Equal Protection Clauses of the 14th Amendment. Profiling violates the 4th Amendment. When the duration of the stop extends beyond the reasonable amount of time to adjudicate the traffic infraction then the stop is may be found unreasonable under the 4th Amendment. There is no set time for a reasonable stop because the circumstances of each stop are unique. In Washington, state law prohibits even pretext-based stops not currently prohibited by federal law. But if you live elsewhere there is still much you can do. Many times there are state options available. And every profiling stop provides the opportunity to add tangibly to the pattern of evidence that can ultimately be used to justify a law in your state. Document the stop. This sounds obvious but is extremely important. Time, place, agency, duration of stop and any other details. These basic details are the foundation that everything going forward relies upon. Contact the Motorcycle Profiling Project. Email details of your profiling stop toinfo@motorcycleprofilingproject.com. The MPP can assist you in submitting public information requests, media responses, and the preparation of legislative proposals. The MPP is also well networked and may be able to connect you to others working on profiling issues in your state or region. Ultimately, legislative solutions provide the most comprehensive potential protection for motorcyclists at the state and federal level. Legislative solutions reduce the incidents of profiling and provide a mechanism of relief for incidents that do still occur. This policy reinforces Constitutional policing, responsible management of resources, focus on conduct as opposed to appearance and helps repair the relationship between law enforcement and the community. The MPP proposes legislation that would require federal, state and local law enforcement to adopt a written policy to condemn and prevent motorcycle profiling, coupled with the integration of basic training. This policy is empirically a highly effective solution, with no fiscal impact, and does not prevent law enforcement from doing their job. Washington State’s positive experience is indisputable and has remained consistent since adoption in 2011. Profiling legislation eliminates gross resource mismanagement and reduces the state’s exposure to civil liability. More economic efficiency and resource allocation results in positive economic advantages dwarfing any potential costs of implementation. Legislative action closes loopholes that allow profiling to continue. Many times following profiling stops motorcyclists are not arrested or given a ticket. This makes it difficult to establish damages. Requiring all law enforcement agencies to change their policy towards motorcyclists would close this loophole preventing less quantifiable (but no less important) damages to expression and equal protection. At the point when choosing whether or not to get a Vietnamese cruiser permit there are a couple of things to consider. Firstly, there is the legitimateness of the circumstance. What are the laws of the nation? Furthermore, do a great many people in Vietnam have a Vietnamese cruiser permit? Thirdly, what are the conceivable implications on the off chance that you don't have a Vietnamese bike permit? If you're looking to buy a new motorcycle, it can at first appear to be a risky task to get right. 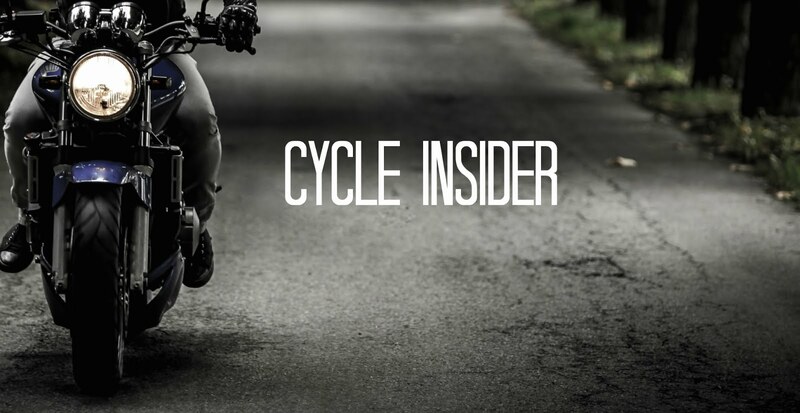 There is relatively little information available for motorcycle buyers and lack of experience can lead to the wrong buying decisions being made. Therefore it's worth taking the time to put some initial research together, particularly for first time buyers.I find a good website of Best automotive tools.If you want to visit this site just Click here. I have read whole of your article and I really love it. Thank you for sharing this article. If you have an android device then still you can watch any sports live streaming from it. Just like another app called Mobdro sports app and it can offer the sports channels to watch the Football, Racing, and more. Windows PC is no more supports to the Cinemabox app. But we can still use the alternatives or wait for the new version. Stay updated to Cinemabox HD website, they will provide the app. No need of Media players from now. WWE 2k18 games is my favorite game in this coming 2018 year. https://wwe2k18download.com/ WWE 2K18 Apk Download and install on android, iOS and many PC to play this fantastic game. WWE 2K18 is much better apk with obb files than earlier versions. https://wwe2k18download.com/ is my favorite game and you can recommend this to your users of this blog. Thanks. Motor cycle profiling is one of the joyful life. i love driving with bike. you can get lot of experience. come on guys. all the very best to all motor cycle profilers. you can watch best videos here for your entertainment. I love to Ride motor cycles. and i am looking for best vehicle for my ride. Download Citrix Receiver for your systems screen sharing. This is my life time goal for motor cycling for long tour. thanks for sharing this article. One of the best streaming application i am suggesting you for your time pass on long journey. Download Free Online TV APK files. Have a router and looking for Best Names? Check out this Cool Wifi Names for your Router. All-time favorite teatv app for the watch and entertaining movies and tv shows free. Great article. i love bike riding and love long trip. Get unlimited Movies and TV shows are here for you with free of cost. Cyberflix TV Apk | CyberFlix TV APK download. i really love bike riding and travelling. thanks for sharing your experience. get free movie apps here for free. I love bike riding and traveling. very interesting article. Tvtap pro windows | Tvtap pro Mac. I love long driving on Bike. i love this article and thanks for sharing your wonderful article. 43 Best Kodi Builds of February in one place where we bring you Kodi Builds for Leia, Krypton, Windows, FireStick, Mac, Android with installation setups.